Catering in Corpus Christi, TX is a competitive game and one that Carino’s Catering sets the standard for. These local caterers has all of the Italian catering options you could ever want. If this is your favorite type of cuisine then it is exactly what you should have and serve to your guests on the best day of your life. You can request lighter options for a more casual occasion or you can request an entire catering package so you can have all courses and possibilities covered. The catering company that is right for your wedding day is the one that serves all of your favorites. 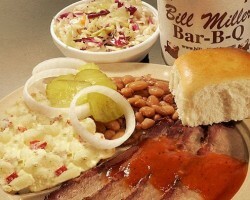 This is why so many couples are choosing Bill Miller Bar-B-Q for their wedding catering. 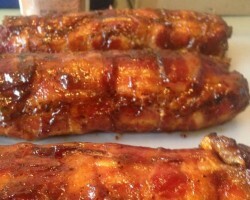 This company offers delicious slow cooked meats as well as fajitas and Mexican food. You will be able to request vegetarian options, appetizers and desserts. This is company is incredibly versatile in the meals they will make for clients, which means that you can make a special request, like for grilled crawfish, and they will make it happen. Whether you are having a corporate lunch or a party after your wedding, Fuddruckers has the catering that will leave you and your guests totally satisfied. This top company is focused on making the food that you love. 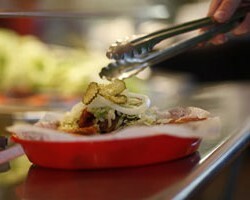 The chefs and catering team are masters when it comes to the artful creation of a great burger. This does not limit their skills however. 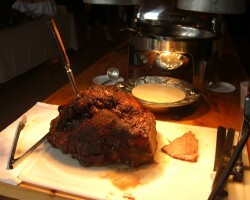 The catering can be personalized to include exactly what you want for the meal on your wedding day. When you are booking wedding catering companies in Corpus Christi, you do not just want a company that does relatively cheap meals but one that is affordable without compromising the quality of the food. This unbeatable combination is exactly what is offered at Fritz’s Catering. This company has been catering for special events and celebrations for over 25 years. In this time they have developed menu options that are sure to please any palate or you can always request your favorites. Up In Smoke is a Corpus Christi catering service that offers BBQ meals and sides that are perfect for any Texas celebration. While this may not be traditional wedding cuisine, it is a local favorite. The full service catering services will come straight to you. 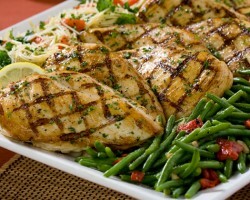 They will take care of as much of the catering and event as you would like. This flexibility is not something that you will get with more formal catering options. You will have totally personalized service and food that you can be sure everyone will love.